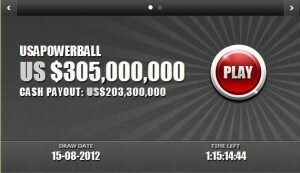 The Powerball jackpot by the next draw this Wednesday will be at $305million. 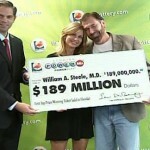 This staggering amount puts this jackpot at number 15 on the United States charts as the 15th highest Powerball jackpot. The jackpot rolled over Saturday night when none of the players matched any of the winning numbers or Powerball number 1. This means that if during Wednesdays draw if one lucky winner takes the jackpot home, they will be taken one of the highest ever in cash value. 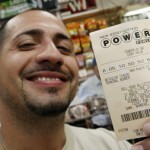 Because the cash values given as jackpots are usually estimates the jackpot may be slightly higher come Wednesdays draw. Despite there are no jackpot takers Saturday night, five ticket holders managed to match five of the winning numbers without the Powerball taking home 1 million dollars. This means that had they purchased the Powerball option then their winnings would have automatically been doubled and they would have gone home with $2million. The Power play option works in a way as to increase your prize value, this option, however does not apply to the Jackpot. 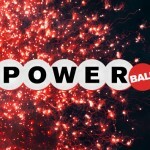 However, four of 66 ticket holders managed to match four numbers and the Powerball to win $40,000 because had bought the power play option for an extra $1. The other 62 ticket holders took home $10,000. On June 27th 2012 the Powerball jackpot was at $40 million and by Wednesday night exactly 14 draws later the new Jackpot will be up for grabs. So don’t forget to buy your tickets and be part of the game.